Clearly, this teacher is ready for spring break! Just one day left in between me and a week of much needed relaxation and "me" time. 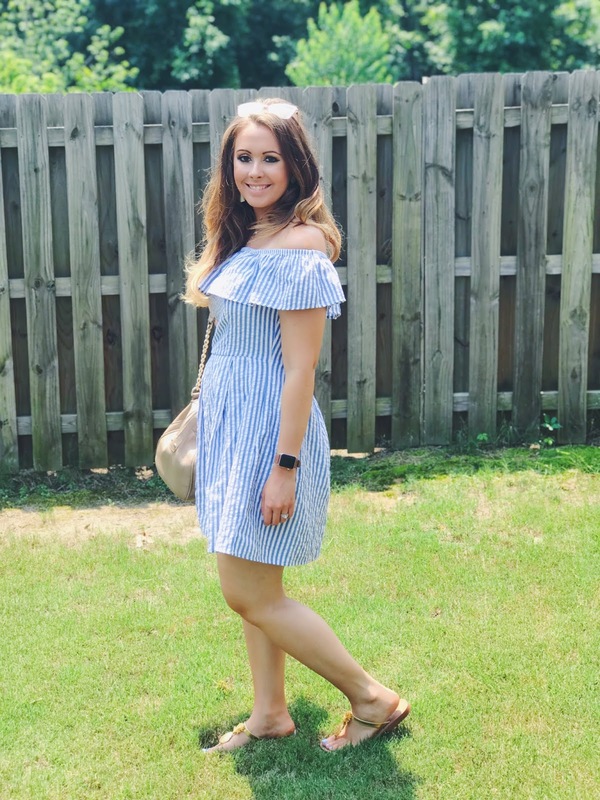 I wore this dress this past Saturday when the crazy inconsistent early spring weather took a turn for 80 degrees and sunny - and it definitely made me start craving beach days! I love maxis and this one is so soft and the perfect shade of gray. Since its a neutral, I can throw on any of my colorful statement earrings, which I love for spring and summer. It can also be dressed up with some sparkly sandals and jewelry, or dressed down with flip flops and a denim jacket. So many options! Naturally, I had to grab my favorite Strawberry Acai Refresher to enjoy on this beautiful day (I usually get mine with coconut milk, but decided to switch it up). I hope you lovlies are getting in gear for spring and hopefully getting some beautiful days with warm temps!